Agaritine (AGT) is an aromatic, antiviral, hydrazine-derivative mycotoxin and IARC Group 3 carcinogen that occurs in mushroom species of the genus Agaricus. Studies have found significant (>1000 mg/kg) agaritine levels in fresh samples of at least 24 species of the genera Agaricus, Leucoagaricus, and Macrolepiota. Mushrooms of these species are found around the world. They typically fruit from late spring through autumn, and are particularly prevalent in association with feces. These mushrooms grow in a wide range of habitats; indeed, one species alone, Agaricus bisporus, is cultivated in over 70 countries and on every continent except Antarctica. A. bisporus, also known as the common button mushroom, is of particular socio-economic importance because of both its prevalence in traditional cultural recipes and its booming cultivation industry in modernized countries. Agaritine content varies between individual mushrooms and across species. Agaritine content (% fresh weight) in raw Agaricus bisporus, for example, ranges from 0.033% to 0.173%, with an average of 0.088%. The highest amount of agaritine is found in the cap and gills of the fruiting body, and the lowest in the stem. Agaritine oxidizes rapidly upon storage, however, and is totally degraded after 48 hours in aqueous solution with exposure to air. It has also been shown to decompose readily upon cooking (up to 90% reduction) as well as upon freezing (up to 75% reduction). Agaritine has been shown to induce adenomas and adenocarcinomas in the lungs of mice when administered through drinking water. It has also been shown to cause bladder cancer in mice. Agaritine has been claimed to be a weak carcinogen, with an estimate for cumulative lifetime risk from mushroom consumption at approximately 1 in 10,000. However, this claim is poorly supported, with little available data about toxicity and no published LD50. Agaritine has been shown to test positive as a mutagen in the ames test and mutagenize DNA in the bacterium Salmonella typhimurium. It has also been shown to covalently bind to DNA in vivo. Agaritine has been shown to be broken down by enzymes in animal kidneys into the toxic metabolites 4-(hydroxymethyl)phenylhydrazine and 4-(hydroxymethyl)benzenediazonium ions. These metabolites have been shown to cause stomach cancer in mice and cause lasting DNA damage after a single dose in mice. The mutagenic activity of the diazonium ion is due to its reaction with oxygen to produce hydrogen peroxide, which then covalently modifies DNA through a radical mechanism. Extracts of mushrooms from the genus Agaricus have been used for generations as traditional Chinese herbal remedies. Some of these extracts have been shown to possess antiviral properties, and investigators have identified agaritine as a prominent compound in the extracts. This led researchers to investigate potential antiviral properties of agaritine, and recently docking assays have shown the molecule to be a potent inhibitor of HIV protease. Computer modelling research is currently being conducted in an attempt to optimize binding for potential use as an anti-HIV drug. Agaritine (1) was long thought by biologists to emanate from shikimate (4), with the glutamate moiety clearly originating from glutamic acid. This assumption was made purely by inference: a similar compound, γ-glutaminyl-4-hydroxybenzene (5) is produced in the fruiting body of mushrooms in the genus Agaricus with similar abundance to agaritine and has been shown to be derived from the shikimate biosynthetic pathway. Recent work, however, has uncovered several problems with this hypothesis, of which inconsistencies in radiolabeling experiments are most notable. These recent efforts now assert that the molecule is synthesized in the vegetative mycelium and then translocated into the fruiting body. These researchers posit that the p-hydroxybenzoic acid moiety (6) is absorbed directly from the lignin on which the fungus feeds, not produced by the fungus itself (Figure 2). Despite recent work, however, experts still acknowledge the nebulous origin of the hydrazine functionality. Two theoretical mechanisms are postulated: oxidative coupling of two amines via a phenolic radical mechanism or fixation of nitrogen via nitrogenase. Three total syntheses of agaritine have been completed. The first was performed in 1962 by R.B. Kelly et al. (Figure 3). These researchers used as their key step the coupling of the γ-azide of N-carbobenzoxy-L-glutamic acid (9) with α- hydroxy-p-tolylhydrazine (8). But compound 8 proved difficult to produce, presumably because of the ease with which water can eliminate across the benzene ring. This was finally overcome by in situ formation by reduction of p-carboxymethylphenylhydrazine (7) with lithium aluminium hydride, followed by a pH-neutral workup using a small quantity of saturated sodium chloride as a drying agent. Neutral conditions were required because agaritine is sensitive to both acid and base. No satisfactory method was found to isolate and purify 8 from its side products, so this solution was treated directly with 9. This produced a mixture of compounds, one of which was the adduct 10. After deprotection by hydrogenolysis, agaritine was extracted by chromatography. The overall yield was 6%, of which half was isolated in pure crystalline form. This synthesis could clearly be improved, and in 1979 L. Wallcave et al. published a modified synthesis (Figure 4). These investigators began with a slightly different starting material, the diprotected hydrazine of L-glutamic acid (11) and reacted it with p-carboxyphenylhydrazine (12) to produce the N’-hydrazide (13). The limiting step in the first synthesis was the very imprecise reduction with LAH, which proceeded with several side reactions and little reaction specificity. Wallcave et al. instead used diborane to selectively reduce the carboxylic acid and reach compound 14, with some over-reduction to 15. The benzyl ester protecting groups were then cleaved by final hydrogenolysis. This last step was initially performed in aqueous solution, but the over-reduction product 15 carried on to produce a 15% side product impurity. This impurity was reduced to less than 2% when the solvent was changed from water to tetrahydrofuran, as the agaritine precipitated out of solution as it formed. The overall yield for this synthesis was 25%. This was still unsatisfactory, however, and in 1987 S. Datta and L. Hoesch devised the third and most recent synthesis of agaritine (partially upon claims that the synthesis by Wallcave et al. could not be reproduced). The Datta and Hoesch synthesis (Figure 5) also used the joining of p-hydrazinobenzyl alcohol (8) with the 5-carboxy group of L-glutamic acid as its keystone, in the same vein as the initial Kelly synthesis. Unlike Kelly et al., however, these researchers achieved an efficient synthesis of 8 from 7 by using an even milder reducing agent than the diborane used by Wallcave et al. – diisobutylaluminum hydride (DIBALH) in toluene at -70 °C. Additionally, compound 8 was found to be much more stable than Kelly et al. had asserted. Mixture of 8 with the same diprotected L-glutamic acid 11 used by Wallcave et al. produced the already-reduced adduct (16). Subsequent deprotection via hydrogenolysis using a 10% poisoned Pd/C catalyst (to minimize the over-reduced side product encountered by Wallcave et al.) yielded agaritine. The final step had 83% yield, and the overall yield for this synthesis was 33%. 1 2 Gao, Wei-Na; Wei, Dong-Qing; Li, Yun; Gao, Hui; Xu, Wei-Ren; Li, Ai-Xiu; Chou, Kuo-Chen (2007). "Agaritine and Its Derivatives Are Potential Inhibitors against HIV Proteases". Medicinal Chemistry. 3 (3): 221–6. doi:10.2174/157340607780620644. PMID 17504192. 1 2 Hashida, C; Hayashi, K; Jie, L; Haga, S; Sakurai, M; Shimizu, H (1990). "[Quantities of agaritine in mushrooms (Agaricus bisporus) and the carcinogenicity of mushroom methanol extracts on the mouse bladder epithelium]". [Nihon koshu eisei zasshi] Japanese journal of public health. 37 (6): 400–5. PMID 2132000. 1 2 3 Schulzová, V.; Hajslova, J.; Peroutka, R.; Hlavasek, J.; Gry, J.; Andersson, H.C. (2009). "Agaritine content of 53 Agaricus species collected from nature". Food Additives & Contaminants: Part A. 26: 82–93. doi:10.1080/02652030802039903. ↑ Nagaokaa, Megumi Hamano; Nagaoka, Hiroaki; Kondo, Kazunari; Akiyama, Hiroshi; Maitani, Tamio (2006). "Measurement of a Genotoxic Hydrazine, Agaritine, and Its Derivatives by HPLC with Fluorescence Derivatization in the Agaricus Mushroom and Its Products". Chemical & Pharmaceutical Bulletin. 54 (6): 922–4. doi:10.1248/cpb.54.922. INIST:17950755. ↑ Rinaldi, Augusto; Tyndalo, Vassili; Maggiora, Laura Rosano (1974). The complete book of mushrooms : over 1,000 species and varieties of American, European, and Asiatic mushrooms. Crown Publishers. ISBN 978-0-517-51493-1. 1 2 Hayes, W. A.; Chang, S. T. (1978). The Biology and cultivation of edible mushrooms. Academic Press. ISBN 978-0-12-168050-3. ↑ Liu, J.-W.; Beelman, R. B.; Lineback, D. R.; Speroni, J. J. (1982). "Agaritine Content of Fresh and Processed Mushrooms [Agaricus bisporus (Lange) Imbach]". Journal of Food Science. 47 (5): 1542–4. doi:10.1111/j.1365-2621.1982.tb04978.x. ↑ Ross, A.E. ; Nagel, D.L. ; Toth, B. (1982). "Occurrence, stability and decomposition of β-n[γ-l( + )-glutamyl]-4-hydroxymethylphenylhydrazine (agaritine) from the mushroom Agaricus bisporus". Food and Chemical Toxicology. 20 (6): 903–7. doi:10.1016/S0015-6264(82)80226-5. PMID 6131022. ↑ Hajšlová, J.; Hájková, L.; Schulzová, V.; Frandsen, H.; Gry, J.; Andersson, H. C. (2002). "Stability of agaritine - a natural toxicant ofAgaricusmushrooms". Food Additives and Contaminants. 19 (11): 1028–33. doi:10.1080/02652030210157691. PMID 12456273. ↑ Schulzová, V.; Hajslová, J.; Peroutka, R.; Gry, J.; Andersson, H. C. (2002). "Influence of storage and household processing on the agaritine content of the cultivatedAgaricusmushroom". Food Additives and Contaminants. 19 (9): 853–62. doi:10.1080/02652030210156340. PMID 12396396. ↑ Toth, Bela; Nagel, Donald; Patil, Kashinath; Erickson, James; Antonson, Kenneth (1978). "Tumor induction with the N'-acetyl derivative of 4-hydroxymethyl-phenylhydrazine, a metabolite of agaritine of Agaricus bisporus". Cancer Research. 38 (1): 177–80. PMID 563287. ↑ Shephard, S.E. ; Gunz, D.; Schlatter, C. (1995). "Genotoxicity of agaritine in the lacI transgenic mouse mutation assay: Evaluation of the health risk of mushroom consumption". Food and Chemical Toxicology. 33 (4): 257–64. doi:10.1016/0278-6915(94)00142-B. PMID 7737599. ↑ Toth, B; Raha, CR; Wallcave, L; Nagel, D (1981). "Attempted tumor induction with agaritine in mice". Anticancer research. 1 (5): 255–8. PMID 7201775. 1 2 Walton, K; Coombs, MM; Catterall, FS; Walker, R; Ioannides, C (1997). "Bioactivation of the mushroom hydrazine, agaritine, to intermediates that bind covalently to proteins and induce mutations in the Ames test". Carcinogenesis. 18 (8): 1603–8. doi:10.1093/carcin/18.8.1603. PMID 9276636. ↑ Rogan, Eleanor G.; Walker, Betty A.; Gingell, Ralph; Nagel, Donald L.; Toth, Bela (1982). "Microbial mutagenicity of selected hydrazines". Mutation Research/Genetic Toxicology. 102 (4): 413–24. doi:10.1016/0165-1218(82)90104-5. ↑ Shephard, S.E; Schlatter, C (1998). "Covalent Binding of Agaritine to DNA in Vivo". Food and Chemical Toxicology. 36 (11): 971–4. doi:10.1016/S0278-6915(98)00076-3. PMID 9771560. ↑ Toth, B; Nagel, D; Ross, A (1982). "Gastric tumorigenesis by a single dose of 4-(hydroxymethyl)benzenediazonium ion of Agaricus bisporus". British Journal of Cancer. 46 (3): 417–22. doi:10.1038/bjc.1982.218. PMC 2011129 . PMID 6889885. ↑ Kondo, Kazunari; Watanabe, Asako; Akiyama, Hiroshi; Maitani, Tamio (2008). "The metabolisms of agaritine, a mushroom hydrazine in mice". Food and Chemical Toxicology. 46 (3): 854–62. doi:10.1016/j.fct.2007.10.022. PMID 18061328. ↑ Freese, Ernst; Sklarow, Stephen; Freese, Elisabeth Bautz (1968). "DNA damage caused by antidepressant hydrazines and related drugs". Mutation Research/Fundamental and Molecular Mechanisms of Mutagenesis. 5 (3): 343–8. doi:10.1016/0027-5107(68)90004-3. ↑ Wang, Jing-Fang; Wei, Dong-Qing; Chou, Kuo-Chen (2008). "Drug Candidates from Traditional Chinese Medicines". Current Topics in Medicinal Chemistry. 8 (18): 1656–65. doi:10.2174/156802608786786633. PMID 19075772. ↑ Sorimachi, Kenji; Koge, Takashi (2008). "Agaricus blazei Water Extracts as Alternative Medicines". Current Pharmaceutical Analysis. 4: 39–43. doi:10.2174/157341208783497551. ↑ Stüssi, Hans; Rast, Dora M. (1981). "The biosynthesis and possible function of γ-glutaminyl-4-hydroxybenzene in Agaricus bisporus". Phytochemistry. 20 (10): 2347–52. doi:10.1016/S0031-9422(00)82663-1. 1 2 Baumgartner, Daniel; Hoeschand, Lienhard; Rast, Dora M. (1998). "The Biogenesis of β-N-(γ-Glutamyl)-4-Hydroxymethylphenylhydrazine (Agaritine) in Agaricus Bisporus in Honour of Professor G. H. Neil Towers 75th Birthday". Phytochemistry. 49 (2): 465–74. doi:10.1016/S0031-9422(98)00250-7. ↑ Bollag, Jean-Marc; Myers, Carla J.; Minard, Robert D. (1992). "Biological and chemical interactions of pesticides with soil organic matter". Science of the Total Environment. 123-124: 205–17. doi:10.1016/0048-9697(92)90146-J. PMID 1439732. ↑ Kim, Jongsun; Rees, Douglas C. (1994). "Nitrogenase and biological nitrogen fixation". Biochemistry. 33 (2): 389–97. doi:10.1021/bi00168a001. PMID 8286368. 1 2 Kelly, R. B.; Daniels, E. G.; Hinman, J. W. (1962). 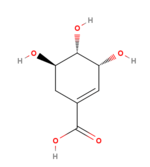 "Agaritine: Isolation, Degradation, and Synthesis". The Journal of Organic Chemistry. 27 (9): 3229–31. doi:10.1021/jo01056a057. 1 2 Wallcave, Lawrence; Nagel, Donald L.; Raha, Chitta R.; Jae, Hwan-Soo; Bronczyk, Susan; Kupper, Robert; Toth, Bela (1979). "An improved synthesis of agaritine". The Journal of Organic Chemistry. 44 (22): 3752–5. doi:10.1021/jo01336a003. 1 2 Datta, Subir; Hoesch, Lienhard (1987). "Novel Synthesis of Agaritine, a 4-Hydrazinobenzyl-Alcohol Derivative Occurring in Agaricaceae". Helvetica Chimica Acta. 70 (5): 1261–7. doi:10.1002/hlca.19870700505.